This is a profound quote for me. I remember the relief I felt when I first read that my desire to belong was ‘normal’, human, that it is an innate primal desire that we all have. I felt like I spent much of my 20’s and 30’s searching for ways to belong. The sad thing is I typically chose ways that meant I was abandoning myself. You may have seen me write about them before – people pleasing, trying to fit in at any cost, being a chameleon, telling you what I thought you wanted to hear, saying yes when I wanted to say no. Looking, acting in ways and pursuing those things that my family, my culture, society seemed to tell me where important. 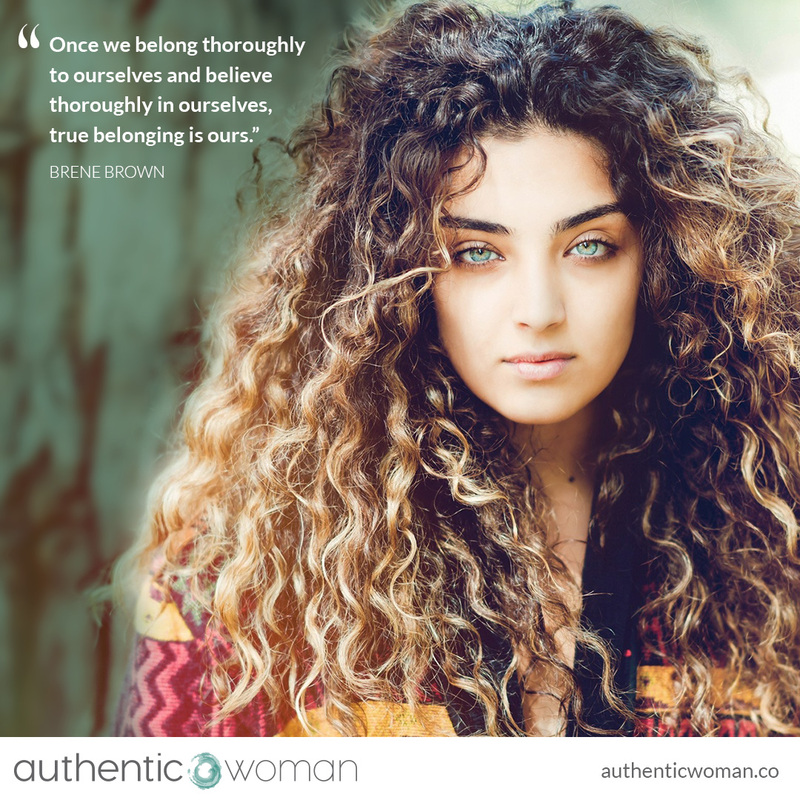 And much of the time not being true to myself, although not consciously, as I often didn’t stop to really listen to myself, to find out what ‘being true to myself’ actually meant. As I started my Compassionate Self-Awareness journey I found within me an equal longing to live authentically. And I came face-to-face with the question of how to ‘belong’ and be ‘authentic’? And what a journey that has been to work through! And then this week I picked up Brene Brown’s new book where she talks about some recent research on belonging where she asked “What are people trying to achieve? What are they worried about?” and the answer was the same complex dilemma I have faced in my own life – “They want to be part of something – to experience real connection with others – but not at the cost of their authenticity, freedom, or power.” Isn’t it wonderful to know we are not alone! This quote is profound for me because it articulates so beautifully my own personal experience. Imagine if I had known that all those years ago. That what I was really searching for was to thoroughly belong to myself. I have VERY SLOWLY come to belong to myself, as I have learnt to love and care for myself. To practice self-compassion. To be my own best friend. Learnt to respect and honour myself. Found my boundaries. Started living in integrity with my values. Learnt to BE rather than Do. Learnt to trust – myself and others and experience genuine and deep connection. Learnt to believe in myself. And thoroughly belong to myself. I have experienced both feeling deeply a part of something and standing alone in the wilderness. I have started to experience ‘True Belonging’. This has been one of the greatest gifts of the compassionate self-awareness path. A path I feel eternally grateful to be on.